Donations | The Railroad Museum of Virginia, Inc. 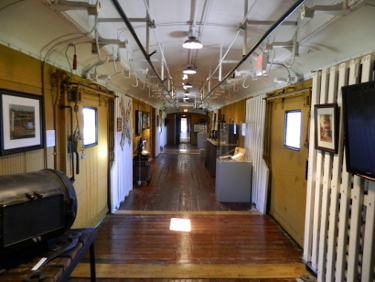 The funds you contribute at this time are needed by the Railroad Museum in order to complete the interior restoration and to set up artifacts and exhibits for display in the railroad cars. The Railroad Museum has previously sought and received funds from the General Assembly of Virginia, Beazley Foundation, TowneBank, and others, and the City of Portsmouth has given the tracks and land on which the Museum is located, all of which has been very helpful. We are seeking to raise the additional funds needed for interior work, and other improvements. Your contribution will make this possible. The Railroad Museum of Virginia would also like to offer other opportunities in which you can support the museum. For donations of $100.00, you can leave a lasting impression by purchasing a commemorative brick with your personal message engraved in it. To purchase your commemorative brick or if you would to make an additional contribution to help support the museum, please complete the Donations form and mail it to 500 Crawford Street, Suite 200, Portsmouth, Virginia 23704. If you would like to volunteer with the Railroad Museum of Virginia, Inc., interested volunteers can contact the main office at (757) 393-4093 and ask for Willard J. Moody, Sr. and / or you can speak with Susan or Kenn.